I’m a queer woman with short hair who often wears button ups and slacks. (I use the word queer to talk about myself because it provides space for the recognition that both gender and sexuality are more complex than binary identity categories suggest.) I tell you this because it often prompts fascinating conversations with children (some of whom I know and some of whom I just happen to sit next to on the subway). The conversation often begins with the question: “Are you a boy or a girl?” This question is posed to many gender non-conforming folks in different forms (for example, gender non-conforming parents I know are sometimes asked “are you a mommy or a daddy?”). Child: Are you a boy or a girl? Child: Oh, you have short hair, but you sound like a girl. Me: I think your question is a really good one, so can I ask you a question? Do only boys have short hair? Me: Yeah, I’m also a girl with short hair. But you’re right that there are boys who look like me. I liked your question because people look lots of different ways and so it’s always nice to ask someone what they want to be called. 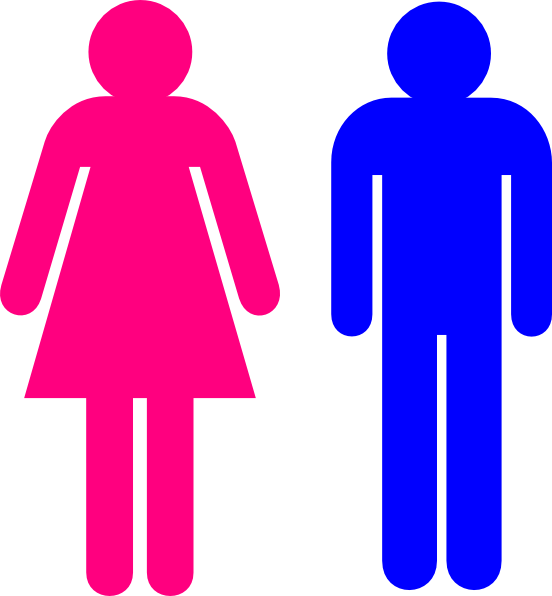 Young children are cognitively primed to categorize and the world inundates children with the message that gender is an important social category. Because of this, young children can become hyper policers of gender. This came up for me a few weeks ago when I was sitting on a stoop with one of my little cousins (a strongly girl-identified six-year old). Cousin: You sit like a boy. Me: How do boys sit? Cousin: Do all boys sit like this? Cousin: No, but that’s how boys are supposed to sit. Me: How are girls supposed to sit? Me: Do you like when people tell you that you can’t do something because you’re a girl? Me: Yeah, me neither. So sometimes (I turn to her with a conspiratorial face) I do things intentionally because people have told me that girls can’t do them. So why don’t we show up those people who think there are things we can’t do because we’re girls and sit however we want? Want to experiment? Which way do you think is the most comfortable to sit? Me: When I was a kid, I got the sense that only boys were supposed to climb trees. So what do you think I did? Me: Yep. Do you want to climb a tree with me? Unsurprisingly, the two of us ended up in a tree. Katie Schaffer is a white cis queer woman dedicated to collectively envisioning and implementing liberatory educational practices. For the past three years, Katie has worked at the New York Early Childhood Professional Development Institute (PDI) where she writes and facilitates workshops on gender and sexuality in early childhood. She offers workshops for both educators and family members of young children. If you’re interested in learning more about these workshops or how to bring them to your school or program, contact Katie at [email protected] or visit the series website here. In addition to her work at PDI, Katie also engages in gender organizing through her role as a board member for the Third Wave Fund, an organization which resources and supports youth-led gender justice activism to advance the political power, well-being, and self determination of communities of color and low-income communities in the United States. If you want to learn more about Third Wave, click here. I recently experienced this myself when talking to my 4-yo. She insisted that all boys have short hair and couldn’t have long hair and girls had long hair. I could not convince her otherwise, as both she and I sat facing one another and speaking with short, pixie-like hair cuts. I especially love the depiction of your ‘conspiratorial’ rebellion against norms – I can see my daughter being THRILLED at the prospect of doing something she was told girls can’t do – and then how you turn it into a way of figuring out what that particular individual child prefers because of what’s comfortable, etc. I also appreciate the way you frame the intial theoretical child’s question not as an obnoxious invasion of privacy but as a welcome question of asking you what you want to be called — the emphasis on a person’s choice that comes out of that subtle rearranging of the interaction is really meaningful.